Looking for sleepers and underdogs for the 2017 Arnold Palmer Invitational at the Bay Hill Club and Lodge in Orlando, Florida? Our sleeper picks are below. 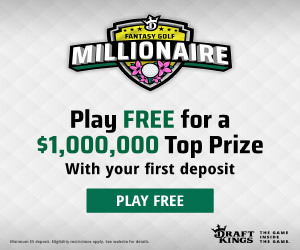 But before you take them and run to make your bets or fill your fantasy rosters, you should try out DraftKings.com - the best fantasy golf site online! 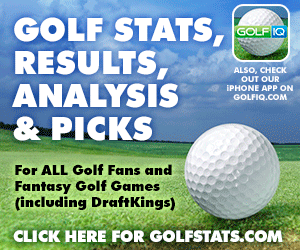 We are partners with DraftKings and receive compensation for new players joining through our links. This helps us to provide quality content to our followers. Although McDowell won't be a deep sleeper, he also won't be one of the top 10 to 20 golfers in terms of pricing at FanDuel and DraftKings. And, even more important, he is the most likely underdog to win the tournament. Laird is in the top 25 of the Fedex Cup standings and is 8 for 9 in making cuts this season. He also has four top 10s, but has been mostly ignored and will offer great value as a longshot for the AP Invitational this week.